Back in grad school I had the opportunity to take a course down in South Africa for a few weeks, and we visited Cape Town, Krueger Park, Johannesburg, and Pretoria. We went in January, which was perfect timing because it was summertime in South Africa. 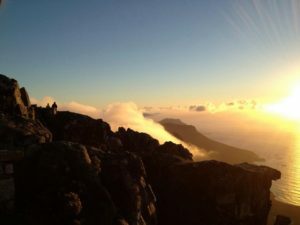 Take a walk in the clouds on Table Mountain. This was hands down one of my favorite days. Take the gondola to the top and look out at the view of Cape Town. Try to go around sunset…watching the sunset on top of the clouds is breathtaking. Take time to go to Cape of Good Hope, which is the southern most tip of Africa. Be careful walking around the ground…we heard baboons growling in the bushes, eek! Penguins…need I say more?? 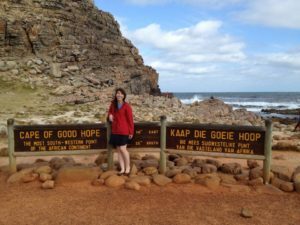 Boulders Beach (a.k.a. 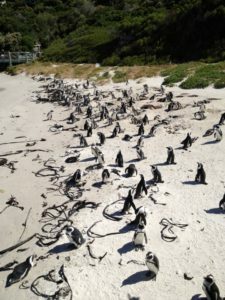 Penguin Island) is an amazing area where African penguins live. 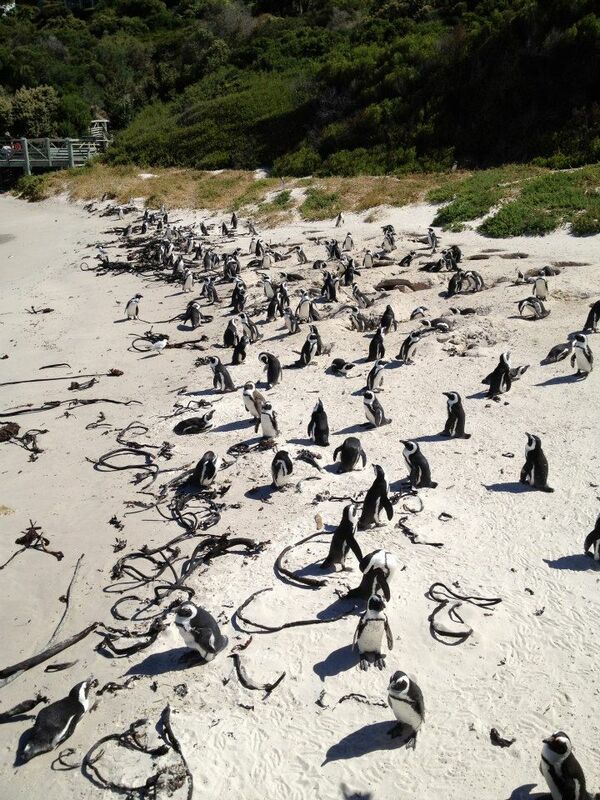 Take some time to watch the penguins sunbathe on the beach. Make time to visit a community center. 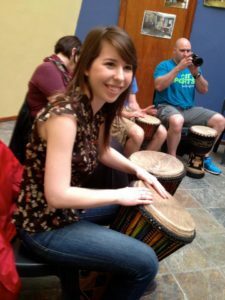 See if there’s any kind of lessons you can take…we took a traditional drumming class. Also the community center we visited supported local artisans, so we had the opportunity to buy arts & crafts. 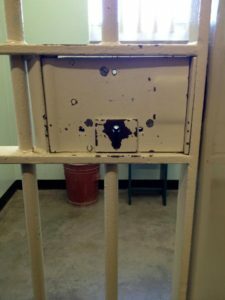 Take a half day to visit Robben Island. The island is rich in history and visitors have the opportunity to better understand South Africa’s tumultuous history. 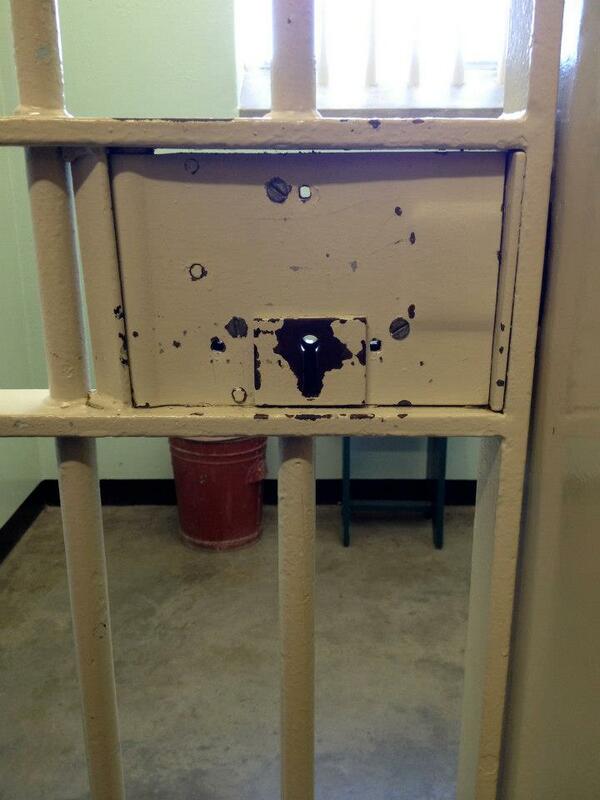 Many political prisoners, including Nelson Mandela spent time on Robben Island. 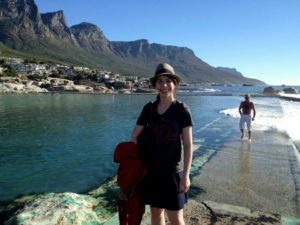 In order to get to the island, you’ll need to take a ferry from Cape Town. 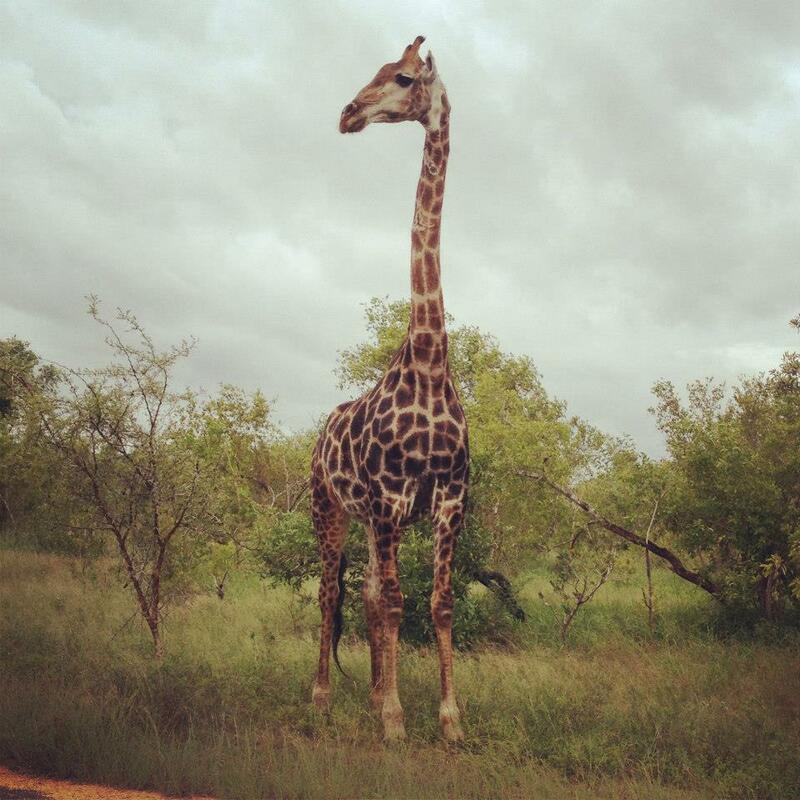 Spend at least 2 days on safari at Krueger National Park. We took guided tours in open air trucks with canvas roofs. Make sure that you go both during the day and at night (you’ll have spotters with flashlights)…there’s a variety of animals you’ll see during both times of day. 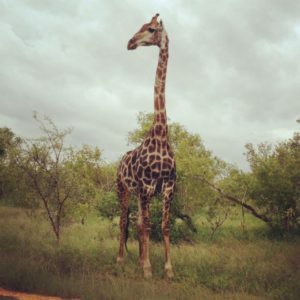 In our time at Krueger we saw giraffes, zebras, lions, buffalo, impala, water bock, baboons, wildebeests, and many others. 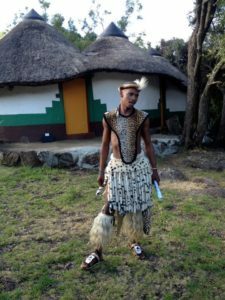 Discover the cultures and traditions of the people of Africa by visiting the Lesedi Cultural Village. Lesedi showcases 5 traditional tribes: Zulu, Xhosa, Pedi, Basotho and Ndebele. You can even arrange to spend the night at Lesedi (it’s located near Johannesburg). Make sure to make time to see the beautiful scenery in South Africa. 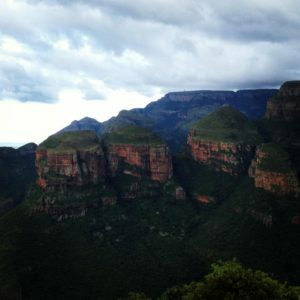 One of my favorite stops was to see the potholes, an area called “God’s Window,” and the iconic Three Rondavels.